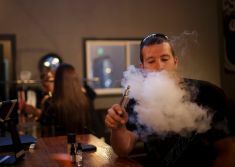 Over the past ten years, the use of electronic cigarettes (aka e-cigs, electronic cigarettes, personal vaporizers) has steadily grown in popularity. In spite of staunch opposition from the multi-billion dollar tobacco and pharmaceutical industries. Regardless of attempts to discredit electronic cigarettes. In the final analysis, consumers have for the most part been able to judge for themselves and have determined that a device that contains only four non-carcinogenic ingredients. It allows consumer control of nicotine and costs less than either tobacco cigarettes or pharmaceutical smoking cessation products. It is probably a smarter choice than either tobacco products or pharmaceutical alternatives. 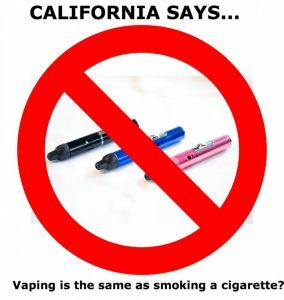 For this reason, across the nation and especially in California, the popularity of e-cigs continues undaunted. This may explain why attacks on e-cigs have recently escalated to the political arena. Calls for bans have been sweeping the state of California, yet these calls are not based in science. They are based in hysteria. Although experts from across the nation, including the medical and executive director of the American Council on Science & Health, Gilbert Ross MD, have come staunchly to the defense of electronic cigarettes, the attacks continue. 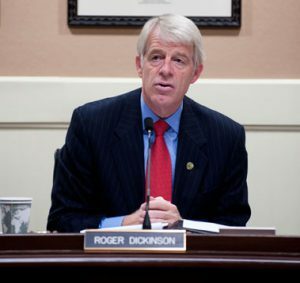 Most recently, Roger Dickinson (D-Sacramento) who is a member of the California state assembly came to the forefront with the assertion that electronic cigarettes and supplies should not be available to Californians online. His reasoning is that online suppliers are not able to prevent minors from purchasing e-cigs. He says that simply asking that the purchaser verify age is not reliable or a strong enough deterrent to minors who wish to purchase e-cigarettes. For this reason, he has proposed a law (AB 1500) that restricts online sellers to delivering e-cigs only to brick and mortar e-cig suppliers who would act as a middle man and check IDs. Is Roger Dickinson Really Motivated By Concern For Minors? While concern about minors is certainly a noble thing, it is actually a misguided concern. E-cig statistics gathered by the Center for Disease Control (CDC)as recently as September 2013 reveal that the use of electronic cigarettes doubled from 2011 to 2013. Simultaneously, 75% of minors who reported using e-cigs also reported using tobacco cigarettes. Clearly, the huge increase in e-cigs use cannot be accounted for by minors. Furthermore, the majority of minors using e-cigs already used tobacco cigarettes, and that is a matter of far greater concern since tobacco cigarettes are sold in brick and mortar stores and minors are prohibited from buying them. Clearly, in these cases, e-cigs did not act as a “gateway” to tobacco cigarette use. The fact is Dickenson is more likely to be motivated by tax revenue than by concern for minors. While the state cannot collect state sales taxes from out of state online retailers, it can indeed impose very stiff taxes on brick and mortar smoke shops and vaping shops. Tobacconists are already highly taxed. If vapers must purchase their e-cigs from physical locations in California, they will be forced to tack on hefty taxes to their purchase price. This situation can easily be seen as exploitation and victimization of people who are addicted to nicotine and attempting to take control of their lives and their health. People who are addicted to cigarettes are very familiar with the sensation of being owned by the addiction. It is expensive and all-consuming and can take over and ruin lives. Electronic cigarettes offer a ray of hope as a transitional object that is affordable and gives the user control over the addiction in a forthright manner. What is vaping and why is it better than smoking? Vaping is the use of an electronic device known as an e-cig, personal vaporizer or electronic cigarette in the place of a tobacco cigarette. The device consists of a lithium-ion battery, a cartridge containing flavored nicotine liquid and an atomizer to heat the liquid into an odorless vapor. This vapor does not linger in the air or cause annoyance and harm to others. People who use electronic cigarettes refer to themselves as vapers because, instead of inhaling smoke, they inhale flavored nicotine vapor. This vapor is made up of water, food grade flavorings, food grade vegetable glycerin and/or propylene glycol and a measured amount of pharmaceutical grade nicotine. The user can choose the amount of nicotine to be delivered by the e-cig. 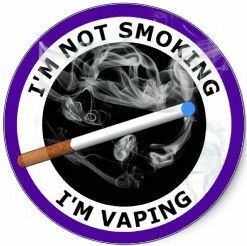 This can range from a very high amount to none at all, and many vapers have taken control of their addiction to nicotine by gradually tapering use of nicotine until they are simply enjoying the e-cig nicotine free. This gives formerly addicted tobacco users a great deal of empowerment and a new lease on life. In addition to providing smokers with a safer smoking alternative, vaporizers provide smokers with a more affordable smoking alternative. Including both the initial cost of start-up kit and the ongoing expense of supplies, many vapers report spending less than half the amount of money they formerly spent on tobacco products. When you consider that, in addition to being a healthier alternative to tobacco cigarettes, e-cigs are also a safer alternative, this is a very good thing indeed. The majority of accidental fires around the world are caused by tobacco cigarettes. This represents a tremendous loss of property and lives. With vaporizers, there is no flame, so there is no fire. In addition to reducing the public burden of being a fire hazard, smokers may also be able to enjoy a reduction in insurance rates across the board when they choose to vape instead of smoking. Less fire hazard and less health hazard adds up to big savings all around. 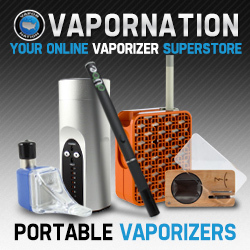 Are Vaporizers Regulated In Any Way? In 2009, the Food and Drug Administration (FDA) issued a press release stating that e-cigs had not been submitted to them for evaluation and approval. At that time, the FDA had gathered a number of opinions in regards to e-cigs, but they did not have information about the contents of e-cigs, the nicotine levels used or the effects of e-cigs. At that time, there was very little in the way of scientific knowledge of e-cigs, and the fact is, research has not progressed much. One reason for this is undoubtedly both interference and skewed, biased research conducted by the tobacco industry and the pharmaceutical industry. This situation has caused a great deal of confusion and misinformation to surround the topic of e-cigs. In fact, Gilbert Ross, MD, who is an expert on and supporter of e-cigs have had some harsh words to say in this regard. In a recent article in Forbes, Dr. Ross said that the confusion surrounding e-cigs may be explained by dogma, willful ignorance and greed. He further stated that truthful communication had been impeded in the name of a “cigarette-protection-campaign” designed to prevent smokers from gaining control over their addiction. Currently, change is in the air for e-cigs, and Mitch Zeller, head of the FDA has said that a ruling regarding regulation of e-cigs will occur sometime in early 2014. Many believe that e-cigs will be regulated exactly like tobacco cigarettes. While this may seem like a good idea, Dr. Ross points out that a decision such as this could drive e-cig users back to tobacco cigarettes. He says that, rather than taking this cookie-cutter approach to e-cig regulations, the FDA would be far wiser to adopt sensible regulations that enforce accurate product labeling and ban sales to minors. He believes that to do so would result in a public health revolution.